[00:45:50 CEST] <sau> I am new with this.. is it ok to ignore the warnings for x264 when compiling ffmpeg? [01:07:45 CEST] <sau> it works..
[02:45:43 CEST] <klaxa> try mkv? stream only contains subtitles? [04:42:19 CEST] <bolds> can anyone help me with an error on ffmpeg built for android? [15:49:42 CEST] <kepstin> rngkll: there should be some info in sysfs that can tell you which nodes belong to which card. [16:48:27 CEST] <leewdch> using -vf scale triggers a warning saying I used a depcreated pixel format or at least that's what I think. what does it mean? [16:49:09 CEST] <kepstin> leewdch: you're using jpeg images as input, eh. just ignore it unless you're an ffmpeg dev. [16:58:29 CEST] <TheAMM> How can I shift the video to fix "[matroska @ 0x12e9660] Non-monotonous DTS in output stream 0:0; previous: 0, current: -79; changing to 0."? [17:17:28 CEST] <kepstin> weird that the device is providing negative timestamps, what kind of hardware is it? [17:25:31 CEST] <kepstin> hmm. so that device is usb, showing up as uvc + usb-audio? [17:26:17 CEST] <kepstin> that's kind of a pain, but I'd normally expect the sync to be fairly close between the two unless it's really slow to initialize or something. [17:31:18 CEST] <kepstin> you could maybe try the "-timestamps abs" or "-timestamps mono2abs" option on the v4l input, which might make it retimestamp the video in a way that'll work. [17:32:09 CEST] <Plug> Howdy, just wondering - when adding chapter names to a video via the ffmetadata files, is it part of how it works to add a subtitle track with the chapter names in the subs? [17:32:15 CEST] <Plug> Or is that a VLC thing? [18:00:22 CEST] <kepstin> theonebobo: the ffmpeg output helpfully warned you when you encoded that file that you might want to use yuv420p pixel format for compatibility reasons. Add the output option "-pix_fmt yuv420p" to do that. [18:04:18 CEST] <kepstin> might have been an oversight when the work for multi-bit-depth x264 was done, i guess. [18:28:46 CEST] <theonebobo> Thank you again that worked a treat. [19:56:53 CEST] <BSODjunkie> anyone here can help me change this command to automatic bitrate with -crf 20? [19:56:58 CEST] <BSODjunkie> "ffmpeg.exe -hwaccel cuvid -i input.mkv -pix_fmt p010le -c:v hevc_nvenc -preset slow -rc vbr_hq -b:v 5M -maxrate:v 10M -c:a aac -b:a 240k output2.mp4"
[20:07:09 CEST] <kepstin> BSODjunkie: nvenc doesn't support/use the crf option. [20:09:51 CEST] <kepstin> i'd expect the -cq range to not be directly comparable to x265's crf range, so you might have to play around with the number. [20:11:55 CEST] <ariyasu> "The audio will be stereo AAC-LC at 128 kbit/s. Whilst we would like to provide multi-channel sound we have found a number of issues with receivers which are difficult to work-around. We will continue to explore solutions for future events." [20:17:07 CEST] <ariyasu> what is the source videos spec? [20:17:23 CEST] <kepstin> BSODjunkie: why do you want to re-encode the source file? if it's already lossy, e.g. h264, there's probably no point. [20:18:15 CEST] <BSODjunkie> kepstin: so there is no good GPU accelerated one? [20:18:42 CEST] <kepstin> hardware encoders (not gpu accelerated) are generally designed for high-speed or realtime encoding, not archival quality. [20:19:12 CEST] <BSODjunkie> kepstin: What kind of performance would I get with gpu accelerated? [20:21:02 CEST] <kepstin> BSODjunkie: in general: "don't do that, it's a waste of time", and if you really want the file smaller, also "consider using x264 instead, it's faster and usually good enough"
[20:21:23 CEST] <BSODjunkie> kepstin: I thought x265 was supposed to be better than x264 in terms of file size? 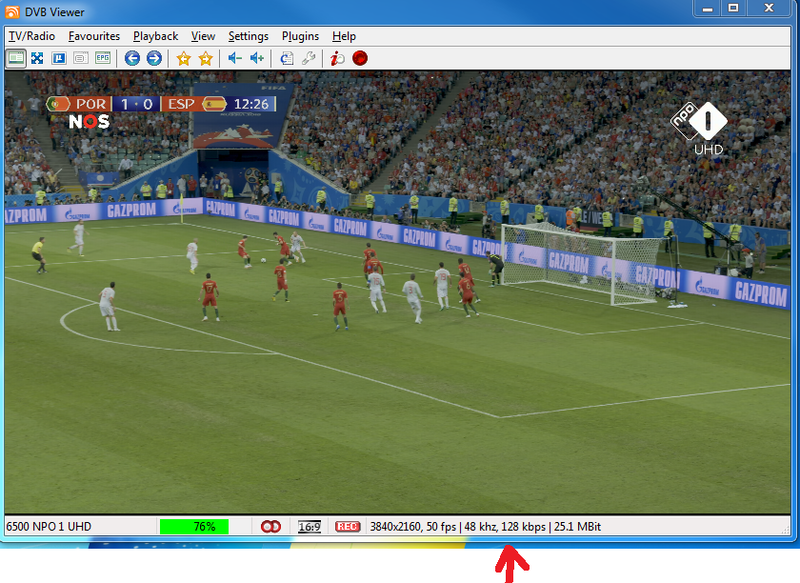 [20:22:09 CEST] <kepstin> if you tune x265 to be as fast as x264, it's gonna give you very similar encoding efficiency. [20:22:22 CEST] <BSODjunkie> My file is 13,381kbps, if I wanted to bring that down to around 5,000. Can I just use the script I have now? [20:23:59 CEST] <kepstin> BSODjunkie: downscale it to 1080p or lower, encode with x264 with a target bitrate, 2-pass mode. save in mp4 file. [20:24:44 CEST] <BSODjunkie> kepstin: What does 2 pass mode do? [20:25:57 CEST] <BSODjunkie> isn't that 5M the target? [20:26:00 CEST] <kepstin> and x264 is faster, and is more likely to play on the computer of someone who "can barely use a computer"
[20:26:51 CEST] <BSODjunkie> kepstin: okay thanks, also what is a good way to compare video quality? [20:27:58 CEST] <Blacker47> BSODjunkie, there is also no real use reencoding the audio unless you need a specific format. [20:28:59 CEST] <BSODjunkie> furq: What do you mean? [20:29:34 CEST] <kepstin> also, 130GB is strange for a BD, for non-uhd (BDXL) stuff I thought they maxed out at 75 GB/disk? [20:30:41 CEST] <BSODjunkie> furq: To be honest it's not really a technical issue, I just can't convince him to download anything he thinks he'll get viruses and stuff. I've tried. [20:31:17 CEST] <BSODjunkie> furq: it's because he got in trouble once downloading pirated software on a work laptop or something like that as well I think. [20:33:54 CEST] <BSODjunkie> plus actually it'll be his xps 13, so the work thing shouldn't matter. [20:34:13 CEST] <BSODjunkie> anyway, can someone praise me for my python script so I can log off. [20:36:47 CEST] <BSODjunkie> YokoBR: why are you writing defaults into args? like stdout=None? [20:37:37 CEST] <Blacker47> BSODjunkie, just to run things in parallel there you don't need per-file specific parameters beside of filenames you can use the programm "parallel" or at least "xargs". [20:37:58 CEST] <kepstin> YokoBR: all i can tell you is that the input isn't something that ffmpeg can handle in a pipe. What's the exact input format? [20:38:48 CEST] <kepstin> YokoBR: if each chunk is an independent webm file, then you're gonna have issues. [20:41:12 CEST] <kepstin> YokoBR: if you write out the chunks to a file, then use that file as ffmpeg input, i'd expect the same output messages. [20:53:41 CEST] <YokoBR> kepstin: do you have any suggestion? [20:58:14 CEST] <nicolas17> does it? [23:47:21 CEST] <GuiToris> hey, how can I rotate my video 1.5 degrees counterclockwise so I don't have any black borders? [23:50:14 CEST] <BtbN> rotate to get rid of black borders? what? [23:50:45 CEST] <nicolas17> -vf "rotate=1.5*PI/180:ow=rotw(a):oh=roth(a)"
[23:52:15 CEST] <GuiToris> nicolas17, does this work for you? [23:52:49 CEST] <GuiToris> Conversion failed! [23:55:40 CEST] <GuiToris> why does ffmpeg -ss 00:00:38 -i 00121.MTS -t 00:00:10 -vf vidstabtransform=input="./thing.trf",rotate=1.5*PI/180 -crf 16  -deinterlace okay2.mp4 work but ...-vf vidstabtransform=input="./thing.trf","rotate=1.5*PI/180:ow=rotw(a):oh=roth(a)"... doesn't? [23:56:13 CEST] <nicolas17> old ffmpeg without rotw?